William Elliott A Life with Blindness: Play Ball! It was chilly last evening. Chilly to be out in even a thick heavy shirt and sitting in a wide open stadium to watch an early season baseball game. My wife, and I along with Leif my guide dog like to visit our local baseball ground occasionally. Usually in early May temperatures are up in the eighties and cooling through the seventies at an evening game. But this week is an unusual one in this part of California. Temperatures are hovering around the seventies in the day and plummetting to the forties at night. Not that I am complaining. By the end of this week we are looking at temperatures in the high ninties. So so-long cool days. We had planned an evening at the ball game a couple of weeks back. Monday nights are always good times to visit, you get lots of free stuff in the ticket, vouchers for free pizza at a local pizzaria, free tickets for the zoo, even free food and soft drinks at the game itself. All for just $20, bargain! 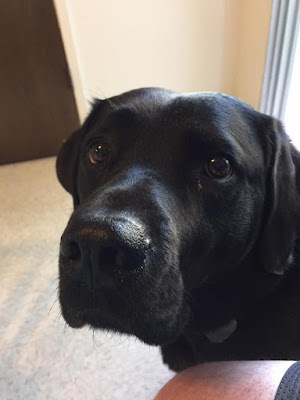 Leif my guide dog always creates a stir. Kids love to point him out. He often lies with his head on the bottom rail of the safety barrier, watching the game with seemingly great interest and intent. He is also a big hit with some of the security staff at the ground, they love to come over to talk to him, make a fuss and have a fuss made of themselves by a very enthusiastic 70 pound black labrador. 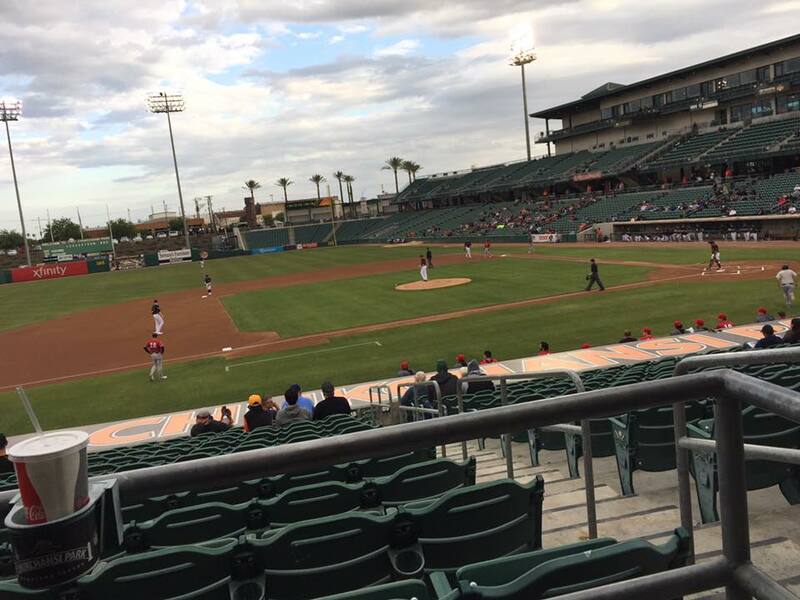 Last night was a bit of a down night, the Fresno Grizzlies, feeder team to the Houston Astros were playing the Nashville Sounds who's players reserve for the Oakland A's. The distance in skill was massive. Or maybe it was just the coldness of the air. The Nashville players were much happier in the cold. Scoring four runs in the mid innings of the game, three of those were Home Runs. The poor California boys didn't seem to like the chill and only once managed to score one run, that in the dying moments of the last innings. So was I sad as I shivered in my seat? No. Going to the ball game is always fun. I had never seen the Grizzlies lose before, so this was I hope a unique occassion.